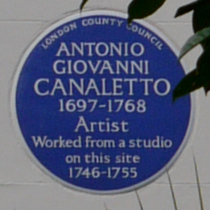 Antonio Giovanni Canaletto, 1697-1768, artist, worked from a studio on this site, 1746-1755. This plaque is not genuine. English Heritage have told us that they have, on several occasions, asked the buiding's owners to remove it. 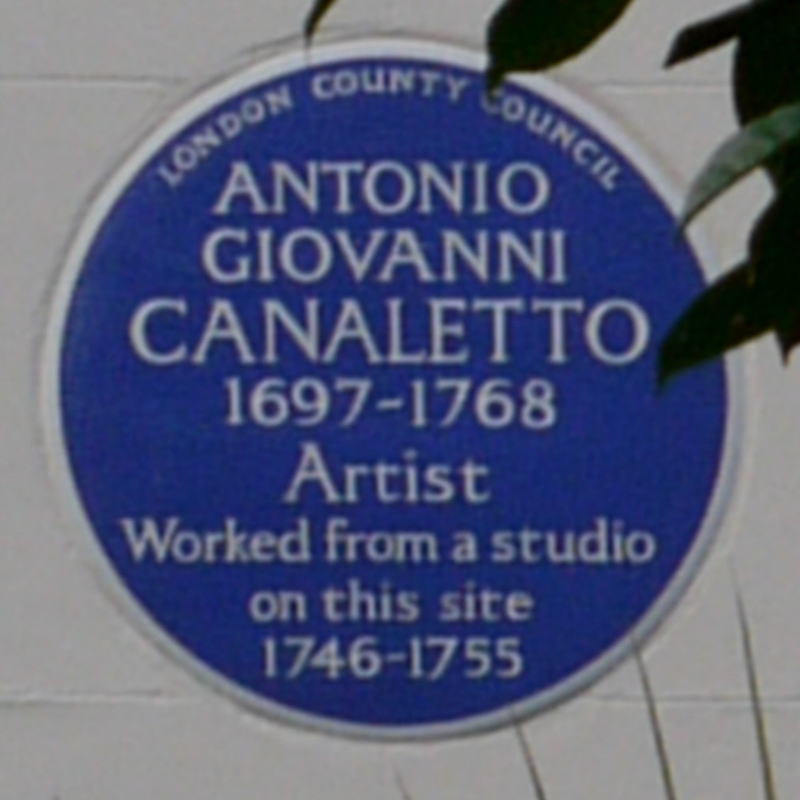 In his time in London, there is no evidence that Canaletto, lived or worked anywhere other than 41 Beak Street, W1.